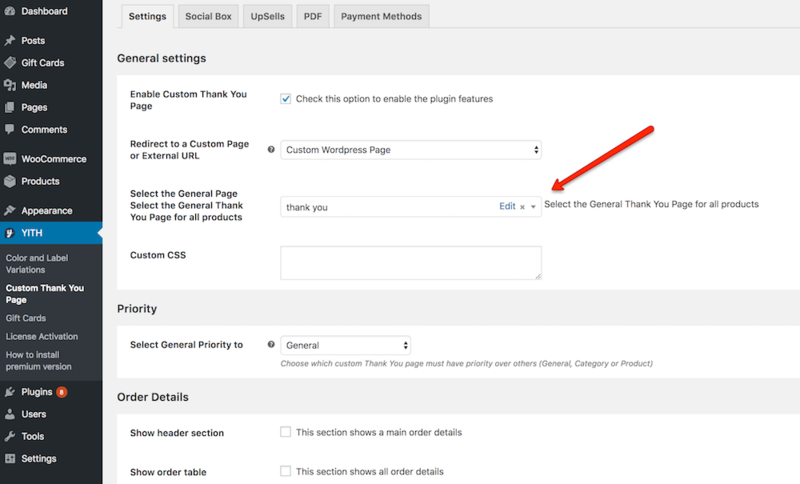 The WooCommerce default Thank You page can be replaced by any of the pages you created so far. 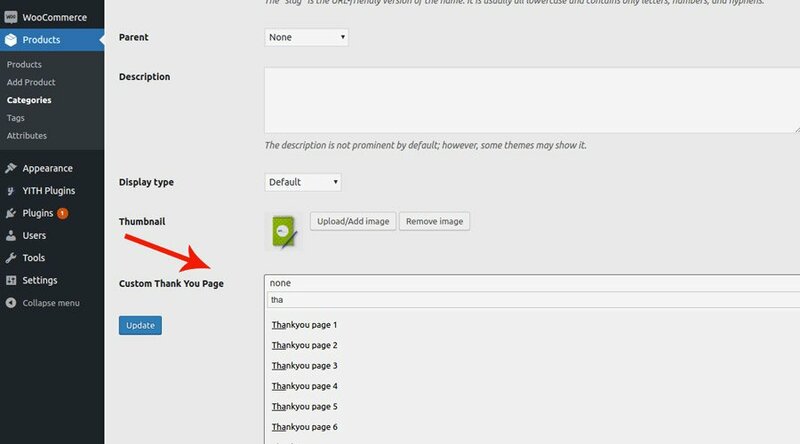 Go to the plugin settings panel and pick the new page using the select dropdown next to “Select the General Page”. The General Thank You page is displayed each time an order is completed, unless there is a higher priority Thank You page available. Discover here all you need to know about the Thank You page priority. Go to the product category edit page and choose the Thank You page you want to associate with it. The page you choose here will be associated with all the products belonging to the selected category. In order to display it, you’ll have to set the Thank You page priority to “Product category”. 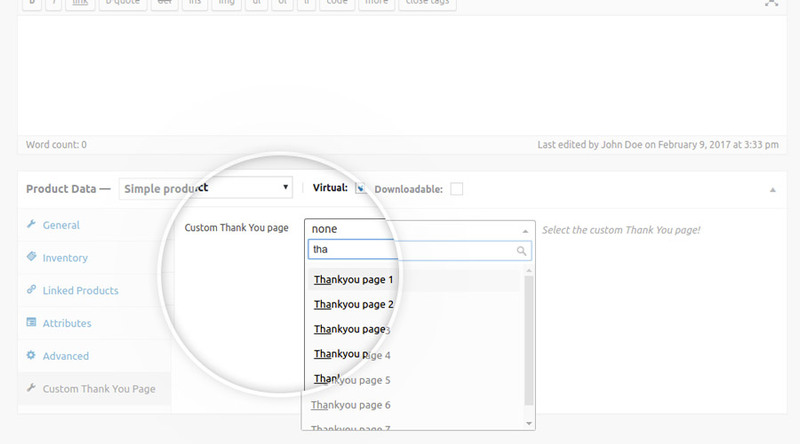 Go to the product edit page and select the page you want to show as “Thank you” page. In order to display it, you’ll have to set priority to “Product”.